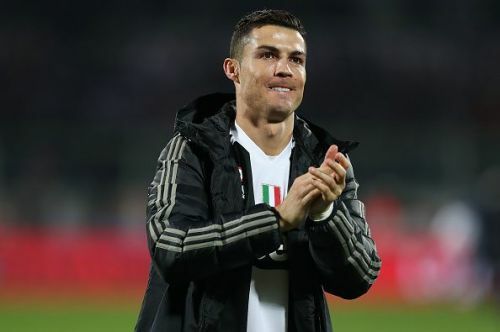 Juventus star Cristiano Ronaldo has reportedly called former Real Madrid teammate, James Rodriguez, personally in an effort to convince him to join the Serie A giants at the end of the season. Rodriguez is currently in the second season of his loan spell with Bundesliga giants Bayern Munich, where he has had a difficult time making any significant impact. Since Ronaldo's departure from the Bernabeu, rumours have been rife of a reunion between the Portuguese star and a number of his former teammates. It was initially claimed that the 34-year-old wanted to bring Marcelo to the Old Lady, but those reports have proven to be incorrect so far. When asked if he would like Marcelo at Juventus, the five-time Ballon d'Or winner dismissed all his former teammates, stating that the club does not need any player. "I see that they write about James, (Gareth) Bale, (Marco) Asensio but, honestly, Juventus does not need any player. You should ask the president." "Marcelo is strong, we would open the door to good players and Marcelo is one of those." It appears Ronaldo has backtracked on his comments as Marca now reports that he is trying to convince Rodriguez to move to the Turin-based outfit, and has contacted the Colombia international himself. Despite having said that the Serie A table-toppers need no players, Marca believes that the 27-year-old would be an astute signing for boss Max Allegri. Rodriguez has already been linked with a move to Premier League clubs Arsenal and Tottenham Hotspur. Considering the fact that Rodriguez has had little impact during his time with Bayern and Real Madrid, he is likely to make a permanent move away from the Bernabeu soon. The Colombian has reportedly also decided that he does not want to return to the German giants, despite the club having the option of buying him at the end of his loan spell. Rodriguez's exit looks inevitable at the moment, but his destination remains to be ascertained. While Bayern Munich will next face Hertha in the DFB Cup on Wednesday, Juventus will lock horns with Sassuolo in the Serie A on Sunday.